PEORIA, Ill. (WLS) -- People in Peoria are beating the heat this weekend with a 1,000-foot-long water slide. 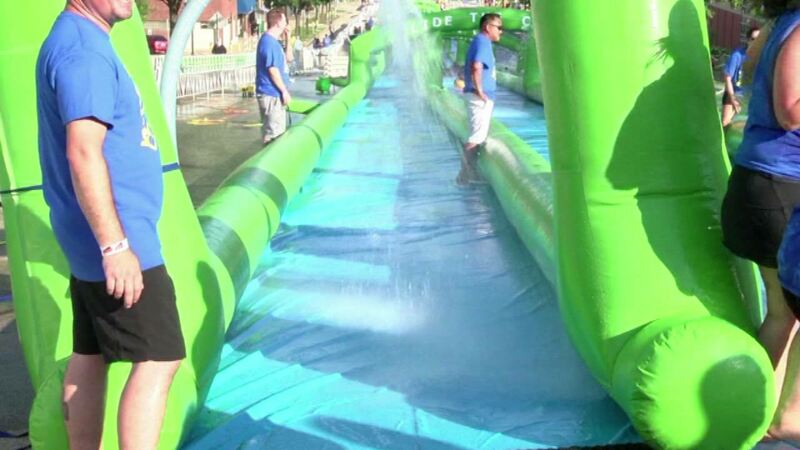 People in Peoria are beating the heat this weekend with a 1,000-foot-long water slide. For the second year in a row, the city brought in the giant Slip 'N Slide. The slide is set up to re-use water throughout the day so it wastes as little water as possible. About 2,000 people showed up Friday and organizers believe more people came Saturday. Money from the tickets goes to St. Jude Research Hospital.